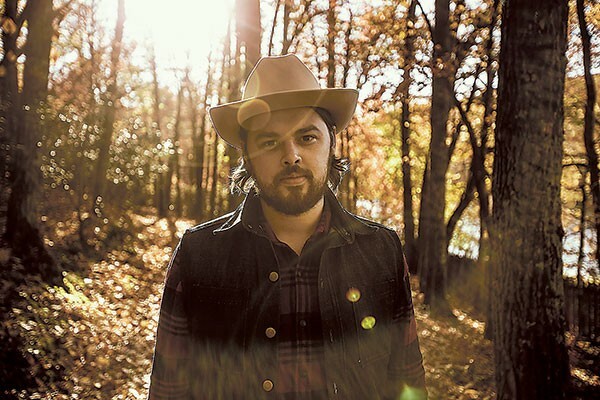 When Caleb Caudle picks up the phone, he sounds really down-and-out, so much so that I blow past my first interview question and simply ask if he's OK. He is, he says, it's just that he's been driving nonstop. He woke up in Hollywood two days ago. Last night, he was in New Mexico. Today, he's been up since 4 a.m., and he's just crossed into Tennessee on a beeline back to North Carolina. The man is in the midst of driving across the U.S. about as fast as you can. "For me, there is no thought: If I start thinking about it too hard, I get bummed out about it, so I just go for it," Caudle says, resigned to the many miles that still stand between him and his Winston-Salem home. "Don't fall asleep, I guess." Still, I can't shake the feeling that I'm pestering him and that I'm just another interviewer calling to dredge up his year in New Orleans or overanalyze his three years of sobriety. After all, Caudle has seen consistent press — love from Rolling Stone in particular — since the February release of Carolina Ghost, his seventh and most visible album to date. It's a straightforward country record, calming in its mid-tempo directness and hearkening to stylistic forebears like Alan Jackson as well as contemporaries like Jason Isbell. It's country music, naked of Nashville glitz and immediately accessible. Caudle writes emotionally substantial music, but also possesses the hustle to tour behind it 150 days a year. To drive any distance simply because he must or to successfully go cold turkey off alcohol; to do any of this takes substantial willpower. "There's no real preparation for some of the things you have to do other than knowing you've done it before," Caudle says. "You just do it." In going sober, he's seen the benefits of self-actualization already. Caudle cites Todd Snider, currently of supergroup Hard Working Americans, who says he quit drinking for the same reason he started in the first place: it makes him feel better. It's rare these days that someone tries to buy him a drink, Caudle says. It's been a few years and word has gotten around that the man onstage is through with that. He doesn't miss it. In particular, he doesn't miss the weeks and weeks of hung-over drives that used to define touring. "People want to come to your show and have a party and they expect you to be this drunk character onstage, but then they go home and they sleep in their bed," Caudle says. "They don't have to wake up and drive six hours the next morning and do it over again." "Americana is an extremely sober genre," Charles Aaron wrote in one of the most in-depth Caudle profiles to date, published in Bitter Southerner. Many of its musicians have moved on from drugs or heavy drinking. In singing about it, or perhaps in writing with post-booze clarity, they create some of their strongest material. Raleigh's American Aquarium, for example, released 2015's Wolves after bandleader BJ Barham put down the bottle. It is likely the band's finest album. These days, Caudle takes a level, sober look at himself and where he fits in the world, accepting the bad and celebrating the good. The video for Carolina Ghost's title track is a tender homage to his parents' love for each other. So Caudle is exhausted nut clear-headed as he drives cross-country today. He's heading home to Winston-Salem, where he was raised and today lives with his fiancée. As a non-drinker, he interacts with the city differently now: he has his favorite brunch spot, for example, but is a homebody at night. "I get enough of my going out or whatever you want to call it while I'm on tour," he says. His hometown feels sleepier now, sure, but it fits his focus on his wife-to-be and he sounds quite pleased. Come home, be home. He's busy enough anyway with his tour schedule, not to mention the additional hustle of recording. "Unless you're on a huge label, they're not paying to make records anymore," Caudle explains. To do Carolina Ghost and get it right, he raised just over $15,000 via Indiegogo. The musicians he wanted, after all, had to be flown in from out of state for the sessions — and then they had to get paid. Caudle doesn't love the crowdsourcing approach — little surprise, considering how reserved he seems over the phone — but it made the record possible and he's satisfied with the results. Besides, he may have to do it again. "I won't close the door on it, but I would love to get into a situation where me and my fiancée weren't labeling 300 different packages in the same night," he chuckles. There are no Indiegogo incentives to box up and mail out after he crosses Tennessee and makes it home to Winston this time, though. Just a few days home and then a smattering of shows in North Carolina, Kentucky, Virginia and Georgia. Nothing too far afield, really, at least not for a singer whose audiences now sing along, even on the West Coast. "I don't think that situation would have happened a year ago. I'm thankful that it's happening now," Caudle says. "The work doesn't ever get easier, it just changes. It's a lot of live and learn."